Hey all, I was looking online for vintage candy wrappers when I found these two websites. I haven't given them thorough scrutiny yet, but they both seem to be worth a peek. This is one person's collection of candy wrappers past and present. A good resource for your propping needs. 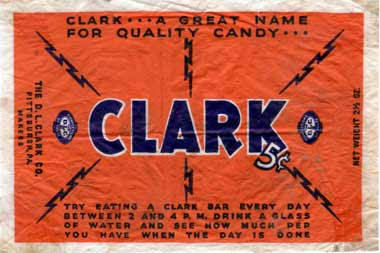 This is just a short, fun blog post with some sweet old candy wrappers.